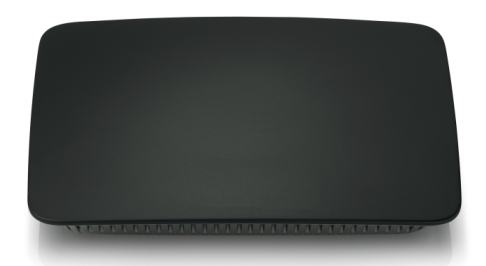 The Linksys SE2800 is an 8-Port Gigabit Ethernet Switch. Its ports are capable of automatically detecting devices with 10, 100, or 1000 Mbps connection rates. This article will discuss the physical composition of the device, as well as its basic features. The eight (8) ports of the Linksys SE2800 switch are located at the back panel of the device. Each port has a pair of green and yellow LED lights. • When the green LED is lit, this means that the switch port is connected to an Ethernet adapter capable of Gigabit (1000 Mbps) connections. • When the yellow LED is lit, it means that there is network activity taking place on that specific port. • Power Port – This is where you connect the included power adapter. • Power LED – This will be lit up if the power adapter is connected to the device. • LED Button – This will turn the LED indicators on the device ON or OFF.